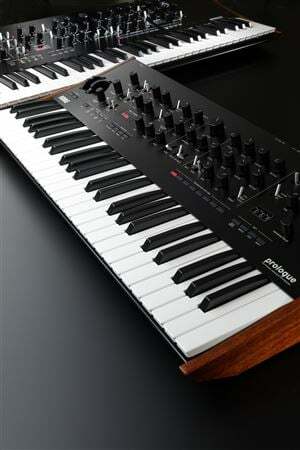 Exclusive 12, 8, 5 or 3 Easy Payments on Korg Prologue 16 Analog Synthesizer only at AMS! Free 2 Day Shipping and Free Extended Warranty. Call our Gear Experts at 800-319-9043 for expert advice! Programs Over 500 voices (more than 200 preloaded, 300 user programs). Each program provides a program sort function that includes voice mode and timbre settings, and allows up to 8×4 banks of live set programs to be registered. Voice Mode: 4 (POLY, MONO, UNISON, CHORD). The VOICE MODE DEPTH setting allows different parameters to be varied for each mode. 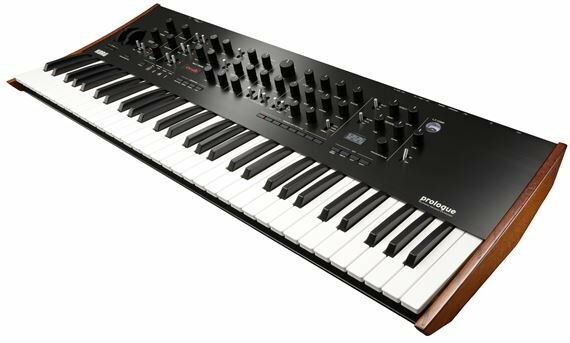 I actually have been looking for a synth that could mix well with my musical genre. I picked the Prologue 16 over the others because it is supposedly open source, which I am patiently waiting for. I love the Multi Engine and quality of sounds. 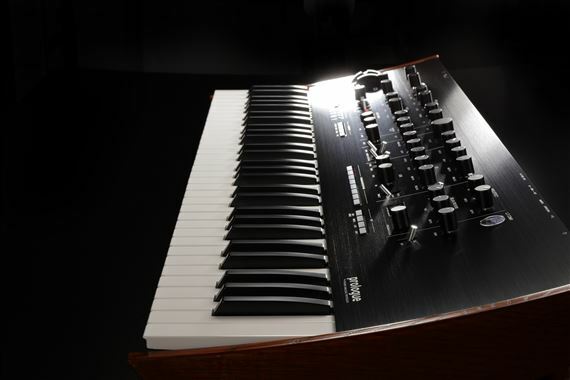 This synth is a beauty. I do wish it had auto knobs though. IMO this synth is an instant classic with a sound all it’s own. The ability for programmers to offer expansion effects, oscillators and presets was the main reason I bought it. Of course with AMS I got 12 easy payments which was very quick and painless. This was my first purchase and I plan on many others. Really great quality synth a classic. This product is pretty good im liking it. The best modern korg synth out now! I prefer the prologue 16 to the minilogue and monologue. 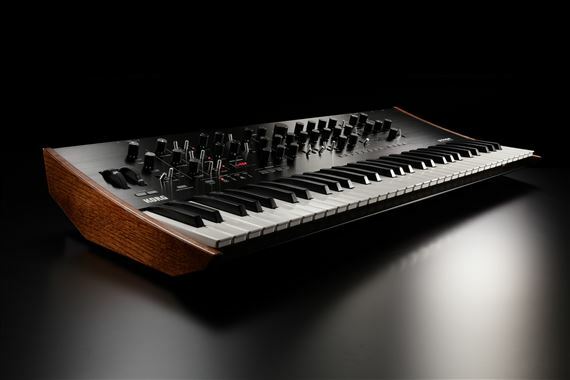 Full size keys are nice and synth engine is out of this world! I do wish there were more lfo options and midi thru, but still incredible at this price point! I’ve had this Synth for a few months in the studio. It is used on almost every song. Every artist that has come in and even brought their on Juno’s or other synths has ended up using this. The flitters are smooth and have very little stepping even at the highest resonance. The only thing I wish, was that it had more routing options and a second LFO. But, I can always use a prophet or soft-synth for more complex sound design. Most importantly, the ocilators sound incredible. Very happy with this thing. I was skeptical about a 16 VCO analog synth for under $2k. I saved a bit by purchasing the scratch & dent model. It looks fine although there does seem to be an issue with the compressor meter. It basically sits in the red zone with little movement. Otherwise the Prologue is very nice. Keys feel good & build quality is very good. I pre-ordered this bad boy as soon as I saw a picture of it. I waited 2 long months to receive it and when it finally came in, it didn't disappoint. The build quality is superb boasting a sleek aluminum body and smooth knobs that have the perfect amount of resistance. The VPM/wavetable oscillator sounds amazing, allowing for sound design that extends beyond the reach of a typical analog polysynth. I know some people complain that there's only one LFO and no aftertouch, which might be an inconvenience for some but for me I didn't find it to be a problem. The LF Compressor sounds really good too, helping boost the low frequencies while adding rich, warm harmonics to the signal. I can't speak more highly of this product. Great job Korg! Unconventional synth great analog sound. I wavered on buying this synth due to the “limited” modulation options but really that isn’t true Korg has just given you eccentric pathways to give movement. The multi osc is particularly useful for this. You can crank it up in the mix to give an FM thwack, or blend in a little tuned noise with the traditional oscillators. It’s still very new to me but I’ve had great fun layering Timbres of sounds with rising pitch enveloped then running them through the submarine reverb (which causes the reverb trails to descend). Easy soundscapes with plenty of movement. Drive in the filter is also great both for pads and snarling leads. User oscs and effects should be interesting but nothing exists yet so time will tell. Did not influence my buying decision. I chose the 16 for voice count capabilities when layering timbres, not the compressor. You can have timbre 1 doing 8 voice poly and 2 doing 8 voice unison stack, etc... that’s the strength of the prologue and 8 voice limits this.